WOW !! 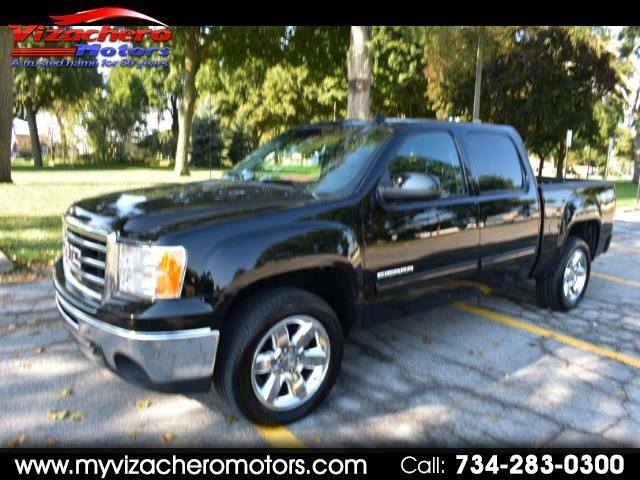 - ABSOLUTELY BEAUTIFUL BLACK CREW CAB SIERRA PICK UP - 4WD - SLT MODEL - BLACK EXTERIOR FINISH WITH A BLACK LEATHER INTERIOR - AUTO START - HEATED SEATS - POWER SEATS - CHROME WHEELS - DUAL AIR & HEAT - AM FM CD STEREO - BED LINER - POWER MOON ROOF - 5.3L V8 ENGINE RUNS PERFECTLY !!! - A MUST SEE AND DRIVE - WELL MAINTAINED - CLEAN CARFAX REPORT - A GREAT TRUCK - THE RIGHT TRUCK !!! - PLEASE BUY WITH CONFIDENCE...OVER 58 YEARS OF AUTOMOTIVE SALES AND SERVICE - OVER 6000 VEHICLES SOLD !!! - CAL OR STOP IN FOR A CLOSER LOOK AND A TEST DRIVE ! !